Deeply committed to the communities that we all share, First Class Insurance Services, Inc. is a leading independent insurance agency that specializes in business and personal insurance, life insurance, and professional liability. The agency has earned its reputation for excellence by leveraging about a decade of risk management experience to deliver keen insight, service, and solutions to clients’ distinct needs, including competitive, niche, and specialty products/services. Organizations of all sizes and sectors benefit from First Class Insurance Services, Inc. business insurance expertise combined with a distinct approach and access to a broad range of premier insurance carriers. 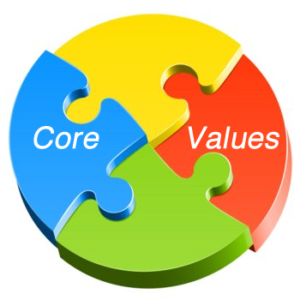 Community Philosophy “Our communities and people are intertwined and depend on each other. Each of us has or will experience challenging times. We are blessed, grateful, and honored to be able to help others. And, we challenge every organization and person to do what they can.” says Jean M. Sorel, president of First Class Insurance Agency. Life Insurance Solutions: Term Life, Universal Life, Whole Life, Disability Insurance, Long-Term care Insurance, and Mutual Funds. As a homeowner, you probably had to initially get your homeowners insurance policy as a requirement when you got your mortgage. This is because the lender had a lien on the home, meaning that the lender could legally take ownership of the home through foreclosure if you failed to make your mortgage payments. Because of this financial interest in the home, the lender required insurance to guarantee that the home would not suddenly drop in value after a catastrophic event. However, once you pay off your mortgage, there is nobody looking over your shoulder to see if you are maintaining your homeowner’s insurance coverage. In fact, you can even drop the insurance if you want to. However, this is a complex financial decision that you should not take lightly, and definitely don’t just drop the policy right away to save money after your house is paid off. Consider Your Financial Strength: Once you have paid off your house, it is likely your largest asset, and therefore is something you want to protect. Most people don’t have money sitting around to replace all of their belongings and buy a new house if theirs burns down in a fire. If you do have this much money and are willing to take the risk of having to use it if your house is destroyed, then that’s your choice. If not, it’s wisest to maintain homeowners insurance for financial protection. Remember Liability Coverage: Your homeowner’s insurance policy doesn’t only provide protection for the structure and contents. 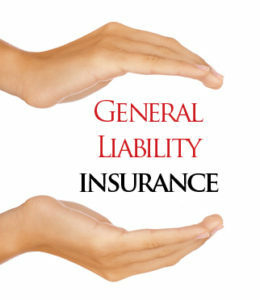 In addition, it has liability coverage in case someone is injured on your property. A lawsuit can completely destroy your finances, costing you far more than the value of your home. 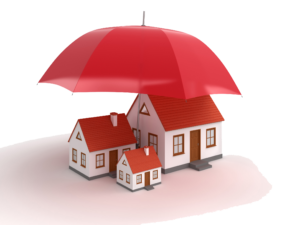 Therefore, it’s often wise to keep homeowners insurance coverage so you can have the liability protection. Shop Around to Save: When you are keeping your homeowners insurance, there are still several things you can do to lower the cost as much as possible. For example, you may decide to increase your deductible to get lower premiums, while still having that coverage in place in case a catastrophic event occurs. You can also get comparative quotes by Calling First Class Insurance Agency at 1-800-731-6092 from a local independent agent to see whether switching to different homeowners insurance company will save you money. Although you don’t technically need homeowners insurance if your house is paid off and you don’t have a home equity loan or line of credit, most people choose to keep their coverage. After spending so many years paying off your mortgage, it would be a shame to lose your biggest asset in just one event you can’t control. Note. If you cannot afford Homeowners Insurance (HO3) get at least a Dwelling Policy (DP1 or DP3) for a very low price. Our Dp1 or DP3 start from $ 500 and up per year. Call us today for a FREE Quote 1-800-731-6092. Home, is where your heart is—Along with many healthy pieces of net worth. Your house is one of your most important investments; so be sure to protect it with a Homeowners insurance policy. 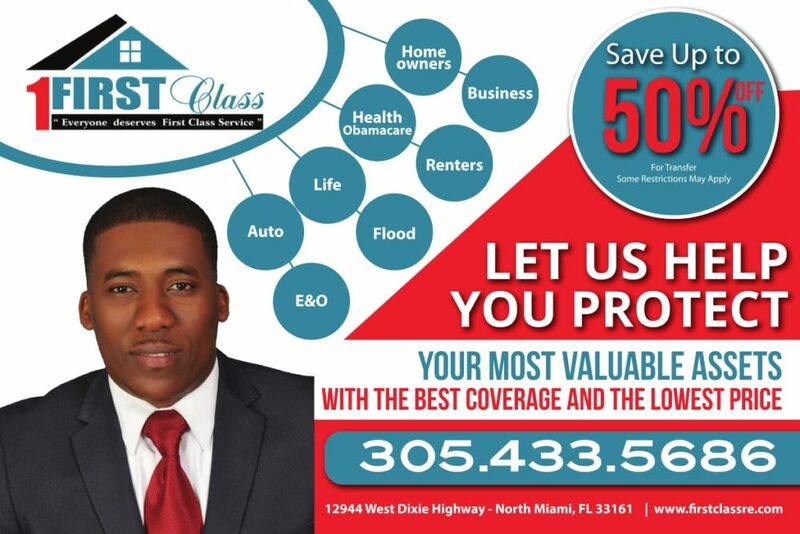 First Class Insurance Services, Inc. can help you get great coverage at great rates through our Insurance Agency. Open enrollment is the time period each year when you’re allowed to start, stop or change your health insurance plan. Normally, you sign up around the end of one calendar year for coverage that lasts the next full year. Many of these rules could change in the future, but the Affordable Care Act is in place for 2018 health insurance plans. Here’s what to know about your open enrollment. In person at our office 12944 West Dixie HWY, North Miami, Florida. 33161. We’re open Mon-Thu 9 am -7 pm, Friday 9 am-5:30 pm on Sunday 2 pm -9 pm , Walk-Ins Welcome. But with health insurance, you pay premiums, a deductible, and then most of the time you keep paying each time you go to the doctor, pharmacist or hospital. And when it comes to your health, it’s not a matter of if you’ll need that insurance — it’s a matter of when. If you fall ill or are injured and don’t know how health insurance works, you could become one of the millions each year who are caught off guard by high medical bills. It’s important to understand the basics of health insurance so you can make the right financial decisions for your family before you need care. That way, you can focus more on healing when the time comes. Here’s our primer on how the costs of health insurance work. Before you understand how it all works together, let’s brush up on cost-sharing terms that apply specifically to health insurance. Premium: A monthly payment you make to have health insurance. Like a gym membership, you pay the premium each month even if you don’t use it, or you lose coverage. If you’re fortunate enough to have employer-provided insurance, the company picks up all or part of the premium. Copay: Your copay is a predetermined rate you pay for health care services at the time of care. For example, you may have a $25 copay every time you see your primary care physician, a $10 copay for each monthly medication and a $250 copay for an emergency room visit. Deductible: The deductible is how much you pay before your health insurance starts to cover a larger portion of your bills. In general, if you have a $1,000 deductible, you must pay $1,000 for your own care out-of-pocket before your insurer starts covering a higher portion of costs. The deductible resets yearly. 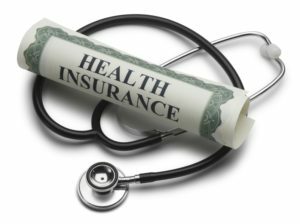 Coinsurance: Coinsurance is a percentage of a medical charge that you pay, with the rest paid by your health insurance plan, after your deductible has been met. For example, if you have a 20% coinsurance, you pay 20% of each medical bill, and your health insurance will cover 80%. 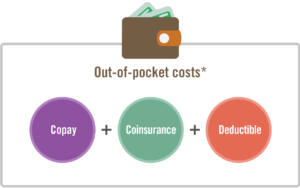 Out-of-pocket maximum: The most you could have to pay in one year, out of pocket, for your health care before your insurance covers 100% of the bill. In Affordable Care Act plans sold on marketplaces, the 2016 limits are $6,850 for an individual and $13,700 for a family, but yours may be different if you have an employer-sponsored policy. – And please add sorelinsurance@aol.com to your address book to ensure inbox delivery.